For most of the last year I have been fairly impressed with Frank Page, the current president of the Southern Baptist Convention who won by upsetting the establishment. He seemed to be putting forth a more positive image. For instance, shortly after his election he explained that he was a conservative but added, "I'm just not mad about it." I will not be a part of any smokescreen leftwing liberal agenda that seeks to deny the greatest need in our world, that being that the lost be shown the way to eternal life through Jesus Christ, our Lord. What Page apparently missed was that there are conservative speakers and even Republican politicians. I have trouble believing that smart politicians like Senators Lindsey Graham and Chuck Grassley would be a part of a "smokescreen" for a "leftwing liberal agenda." And I would not participate if that was what the Celebration was designed to be. Ironically, Page invoked the name of Al Gore, who will be one of the speakers, to justify the great work that the SBC has done. But if Gore supports the SBC's work then it must be just a "smokescreen" for a "leftwing liberal agenda." Or do charges of politics only apply to everyone else? They reaffirmed their commitment to traditional Baptist values, including sharing the gospel of Jesus Christ and its implications for public and private morality. Page also attempts to make this event an anti-SBC event, even though many of the organizations involved have never been part of the SBC and thus do not have a stake in the internal conflict of the past few decades. It seems quite arrogant for SBC leaders to assume that everything in Baptist life is about them. This is not an attempt to "take the microphone away" (as Page claimed), but rather an attempt to unite all Baptists--including Southern Baptists--together. Other problems in the Baptist Press article include describing the Celebration as a "gathering of moderates and liberals." However, what that leaves out is that there are conservative Baptist organizations who are just as if not more conservative than the average Southern Baptist. Additionally, the piece is deceptive by what it does not include. It lists some of the groups involved that left the SBC in order to suggest that this is an anti-SBC effort. However, the article fails to mention that the leadership includes leaders from state conventions that are part of the SBC. Ironically, some of the great work of the SBC that Page mentioned in his comments are partly done by those state conventions. I am not sure what motivated Page to take the offensive here, but it seems to be a sad turn back to leadership style of those he defeated. Maybe his election was not as big of a change as many thought. Or perhaps he is wanting to make sure he can win again next month. Regardless, it is sad that he has decided to become a mad conservative. UPDATE [5-30-07]: Wade Burleson has a post on this and makes a couple of good additional observations. First, he notes that Page's comments as reported by the Baptist Press did not sound much like how Page normally does. Additionally, he notes that the title of the article changed from "Page Rebukes New Covenant" to "Page Responds to Carter" and thus wonders who wrote the first and who suggested the second. UPDATE [5-31-07]: Robert Parham has an excellent column at Ethics Daily today that responds to Page's remarks. He offers three very good points as to why Page's comments are inaccurate. UPDATE [5-31-07]: Ben Cole offers some excellent points as he notes the differences between Frank Page's full statement and the Baptist Press article. However, in your rebuttal, you've phrased things in a way to get you by without touching the delicate spots, or telling the whole truth. If you agree that the exclusivity of Christ to save is central to the gospel, then you'll agree exclusivity is a "traditional Baptist value." President Carter's non-exclusive statements reported by Newsweek (Mormons) and Rabbi Lerner (Judaism) still stand unrefuted. Until you or someone leading the NBC movement clear these matters up, your identifiable leader is apparently denying a huge "traditional Baptist value" and the true gospel. Thus, a good many Baptists don't want to be identified with a Carter-led Baptist movement, when his "prophetic Baptist voice" could just as well be Islamic, Jewish, or Mormon. 1. It does not match with Carter’s written words that very clearly point out that he sees the need for one to accept Jesus. We should always trust the first-hand writings of someone over a newspaper’s report of someone else’s account. Thus, I cannot understand why someone would trust the Rabbi’s remark without further collaboration. 1. they are unrefuted by President Carter. 2. they indicate that President Carter views Judaism as a legitimate path to God, and portrays "Zionist" evangelicals as only befriending Jews and Israel to convert them (which, I might add, is an excellent reason to befriend someone, and the highest motivation for relationship). In "Law and Order" lingo, there's been an indictment--whether you agree or not. Now there at least needs to be a plea of "not guilty." Again, Brian, you're a journalist. Until you have a denial from the Rabbi or from President Carter, you're just sticking your head in the sand, presuming and hoping the report is false. (The Baptist Standard had enough faith in the report to link to it on its online version). Chuck: Your supposed "evidence" could never get an indictment. All you have is one third-hand account that includes an admittedly unreliable source that is contradicted by first-hand written accounts. Unless we hear further from the Rabbi or Carter, then I believe the appropriate response to lean toward rejecting the Rabbi's account. As one who has been misquoted by others in the media when they attempted to recount what I said, I know that this can happen. I would hope that people would trust my words over their misstatement of them. It would be very nice if Carter would refute the claim (and we don't know but maybe he was polite and quietly straightened out the Rabbi to avoid further claims). However, I would understand if he chose not to. There comes a point when you cannot refute everything that is inaccurately said about you everywhere it happens. Just imagine all the places recently that it has been inaccurately claimed by others that Carter is pro-abortion. It would be impossible to deal with it all. And even after the truth is told, some continue to repeat the lies. Brian, thanks for the link to Ben's post and thereby the link to Page's actual statement. 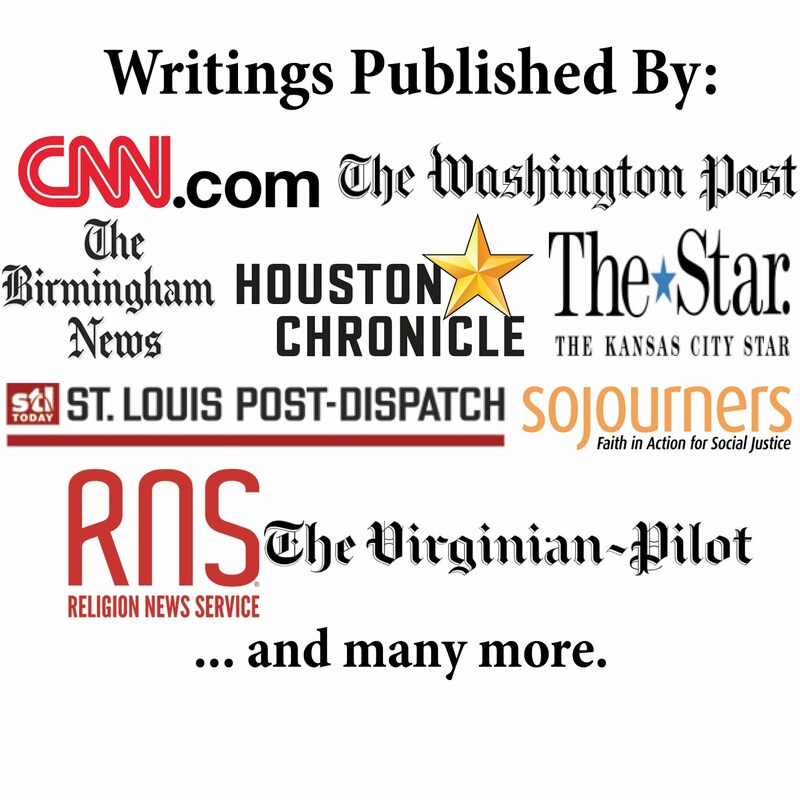 Perhaps Robert Parham should issue a new piece in Ethics Daily in light of this new information -- responding to Page's words rather than those of Baptist Press. You wrote, "This is not an attempt to 'take the microphone away' (as Page claimed), but rather an attempt to unite all Baptists—including Southern Baptists—together." In what way have the organizers of the New Baptist Covenant Celebration attempted to unite all Baptists? I have asked this question around several times and places, but no one seems to know. Over 50 North American Baptist groups are not "signed on". I have no doubt that some of them would never consider participating, but I can find none who can confirm that any attempt was made to invite/include them. It is certainly their perogative if they chose not to, but if so, it should not be billed as something for "all Baptists". Chuck: You very briefly mentioned a Mormon quotation from Carter. As a result, you might find an article by Christianity Today (which is very conservative) to be kind of interesting. r.i.: Thanks for the comment and question. There is likely some adjustment needed, but the piece is still responding to the official voice of the SBC. That, of course, should raise a question—why would anyone ever trust the Baptist Press as that voice after this? I wish that Page would issue a clarification that responded (or is it rebuked?) the Baptist Press. At this point I believe that the invitation has been a generic open one. I do believe that part of the planning going on right now is to make efforts to formally invite various additional Baptist groups. It takes a lot of time to put together a meeting of this size, which is why there has been some lag on this. Rabbi Lerner's account is only one of the accounts I've been citing. Newsweek is a reputable, though liberal, news source. And, I'd remind you that Rabbi Lerner's report was deemed worthy of linking by the Baptist Standard, the BGCT's publication. I have to laugh when you say Christianity Today is "very conservative." At any rate, the article seemed to simply say that moral causes tend to make political allies of Mormons and some conservative Christian Republicans. I missed it if President Carter was mentioned. And, surely you're not promoting the mixing of political and spiritual agendas in the NewBapCov? P.S. For clarification, what first-hand written accounts are your referring to? Chuck: The Baptist Standard linking the article does not add verification. They found it interesting enough to link to (they link to lots of stories that mention Baptists). But they did not look into it. Thus it is still just one third-hand source that includes an admittedly unreliable source. Not sure why you are laughing. Do you think CT is liberal? They are pro-life, against gay marriage, and against stem cell research. It was founded in part by Billy Graham and the first editor was Carl F. Henry. That all sounds conservative to me. The piece did not mention Carter or the Celebration. Why I pointed it out is that they point out some of the evangelical beliefs of Mormons, which includes teachings about accepting Jesus for salvation. I am not saying Mormons are Christians (though some probably are). The first-hand comments I was referring to were those written statements from Carter that state his belief that one must accept Jesus in order to be saved. Check out my recent Ethics Daily column here. Chuck: Another issue that is interesting here is that over on Wade Burleson's blog many of the comments accused Carter of being anti-Jews, anti-Israel, and even anti-Semitic. I cannot figure out how both their charges and yours can be true. How can he be against Jews and also be for Jews? At least one if not both claims must be incorrect. Thus, at least some inaccurate charges have been made against Carter when it comes to his beliefs about Jews. Maybe, then, it is time for everyone to settle down. I won't defend the claims of others regarding President Carter's political views. It's fine with me to disregard them, and focus specifically on his theology. Rabbi Lerner's account of his meeting with Carter is, to an evangelistic Christian, a troubling, if not revolting, report. Since you have high journalistic standards, I trust you will not go on presuming and hoping such extraordinary accounts are not true. After all, you chased down and refuted the less-damaging charges in "Jimmy Carter is Not the Anti-Christ." Brian, I hope you'll work on this, because a controversy so central to the gospel and an "authentic and prophetic Baptist voice" won't just "settle down." Just curious: How do you know the Baptist Standard didn't/doesn't look into such stories it links? Chuck: Thanks for your comments and prodding on this; you are right that the gospel must remain central to the Celebration (and I firmly believe it will). It might be sometime before any new information comes out on this issue, but right now I think that the weight of the evidence should make us lean against believing the Rabbi's account (unless, of course, we have a bias that makes us cling onto to unreliable sources). I don't know about the Baptist Standard but assume that they, like other places that link to articles by other news sources, do not actually spend time for an independent investigation of the stories.